From Goodreads.com: "In 1777 Jack Absolute, the charming lover in Sheridan's comedy The Rivals, is famous throughout London. However, this notoriety comes as something of a shock to the real Jack Absolute when he arrives in England after four months at sea. But there's barely time for outrage before he finds himself dueling for his life. Even worse, as soon as he's won the duel he's forced to flee London by the quickest means possible, becoming a spy in America's war of Independence. Thus we meet Jack Absolute - rogue, duellist, charmer and Captain in the Light Dragoons. From the field of honor in London through the pivotal battle of Saratoga to a hunt for a double agent in wintry Philadelphia, this novel marks the impressive debut of this new series." 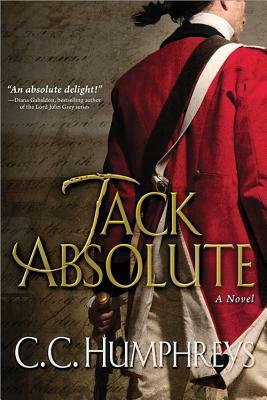 "Jack Absolute" is the story of the title character who is thought to be dead by his playwriter buddy who, of course, writes a play with him as a title character. Much to Jack's surprise, he comes back to London to find that his name is intrisically linked with this play. This is the first book in a series that is being re-released by Sourcebooks. As an aside, the play, "Jack Absolute," is still put on today. In fact, the author, C.C. Humphreys actually played Jack Absolute in the play back in the 1980s so the character is very near and dear to his heart. This was very cool to me. What better way to get to know your character than to actually play him in a play??? I think this fact really helped Humphreys breathe a ton of life, vim, and vigor into the character of Mr. Absolute. The historical detail in the book was really great. This book takes you from London to the new world. As Humphreys himself puts it, Absolute is the 007 of the 1700s. This book is perfect for when you want your historical fiction action packed. 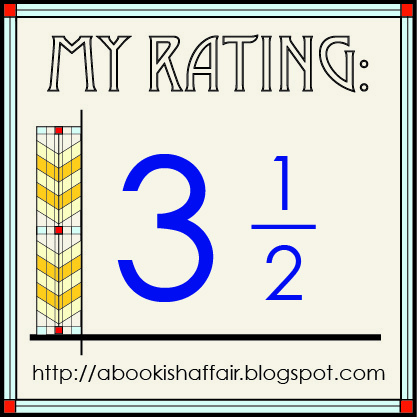 I really enjoyed the book once it moved to the new world where Absolute begins to work his spying magic; that part definitely made me keep reading! In several ways, of course, my research for this novel began long before I became a novelist. I was simply an actor then (though perhaps always with dreams of more!) and was cast to play the role of Jack Absolute in Sheridan’s 18 Rivals’. I loved the part – I mean, give me thigh boots and a sword and I’m your man! Beyond the period, the style, the humour, though – I so enjoy playing comedy! – I truly felt I got into the author’s intentions for Jack. Played him as a rogue with a heart, a bon viveur, a man who enjoyed a joke – and didn’t get too upset when it was on him. I toured the play for six months all over the UK and was so sad when it was over –I felt I’d lost touch with a good friend! So when, fifteen years later, I was asked what I was going to write for my next novel (having written two so far) I saw a way to reconnect with my old pal. But I knew Jack couldn’t simply be the dashing cad of yore in what I hoped would become a series of books. He had to do something. That’s when I came up with the phrase that has haunted me ever since: ‘He’s the 007 of the 1770’s’. So I felt I’d researched the character quite a lot before I began. More conventional research followed – I am a book man and dived into the British Library in London where I lived at the time, to pull out texts old and new. I read, read, read – of war, spies, the secret society of the Illuminati, the Iroquois – all because I knew that I wanted Jack to do his spying – and his wooing and fighting – in that fascinating place, the Colonies (or America as it is now known!) and at one of its most interesting times: the Revolutionary Wars. Narrowing down, I knew I would also like to write about another intriguing – and real – man: General John Burgoyne. Also wanted to explore my fascination for native Americans – hence Jack’s history with the Mohawk, and his blood brother, Ate. So it all came down to the Saratoga campaign. And there I truly struck research gold. Because there was a huge re-enactment of the battle happening very close to the original site which I was able to attend and pump those brilliant historians, the re-enactors, for information. As well as get to wander the real battlefield, a beautifully preserved National Monument, for a couple of days, in all lights. Such ‘research on the feet’ truly made the book. Lastly, there was the subject I didn’t need to research too much – what happens in a theatre, both in front of, and behind, the curtain. And actresses. Those I think I had a good – eh hem - grasp of! When I first saw this book, it didn't capture my interest. But your review sure did! I'm definitely going to have to check this one out. Thanks! I loved this book! 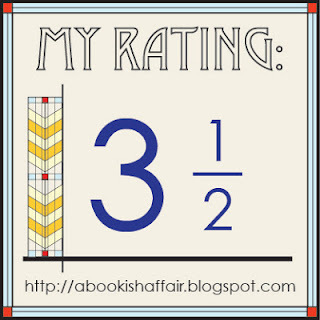 I wasn't sure what to expect, but once I started reading, the non-stop action made it hard to put down. And Jack is such an interesting character. Glad you enjoyed it, too. My review will be up tomorrow.